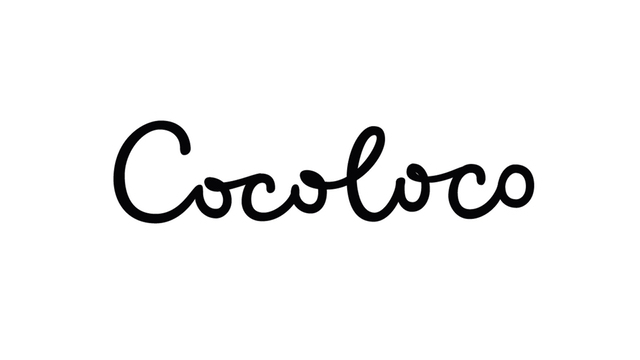 Natural, unprocessed, fresh and simply delicious, cocoloco utilises HPP technology that removes the bad stuff without destroying the good stuff. 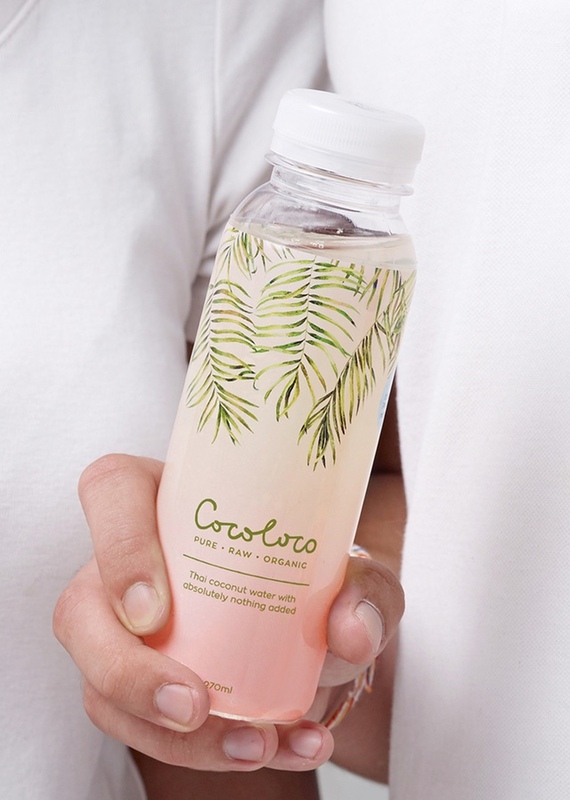 A curious side effect is that over time, oxidisation turns the coconut water pink, something that happens only with raw coconut water. 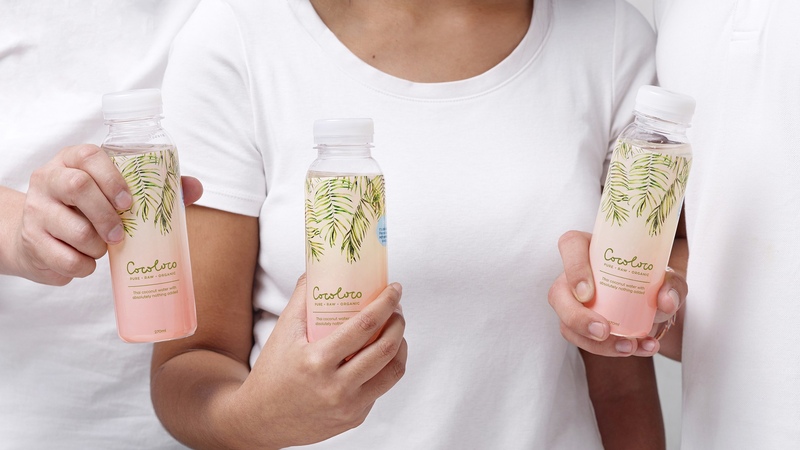 We embraced this with the new colours introduced in the re-design, replacing the previous clear bottle with an elegantly unfussy design wrapped around a taller, more slender form. The final piece of the re-design exercise is a new cocoloco logo – a casual wordmark we hand lettered to complement the natural and breezy feel of the new bottle.